Everyone wants to get the driving license. it becomes one the important part of our life. for getting the driving license in Bangalore, we have to go through a procedure. we are going to explain how to apply for driving license in Bangalore and by the online process. Online process has made this process as easy as a cake walk. This article will be divided into two parts one will be the process of applying for learner driving license and the other one will be the process of applying for the permanent license. In the first part, you will learn the process for learner driving license. After completing this part the next part will be for the permanent driving license. 1. Go to official website: first of all, go to the official link of the RTO of Karnataka. 2. Open license e-services page: At the homepage, you will find several options related to different services. Click on the option ‘License e-service’. 3. Go to the online application for new driving license page: then at the next page, you will find few options related to the learner and permanent driving license. 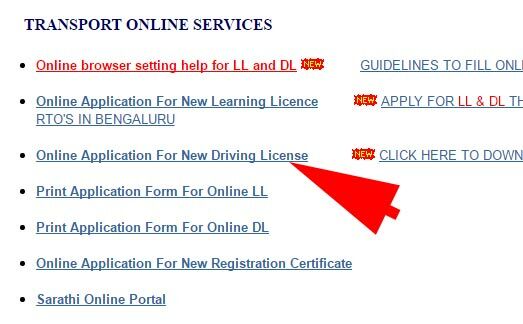 Click on the option ‘ online application for new driving license’. 4. 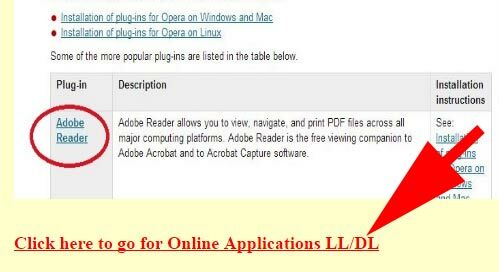 Click on Online applications LL/DL: At the next page, you will find some details in which you will be guided how to download the adobe acrobat reader because the form is in PDF form. If you don’t have then follow the guidelines and if you already have then just scroll down. There you will find an option ‘click here to go to online applications LL/DL. 5. Fill the online form: Then a form will be opened in the pdf file and you can fill it online. The form will ask many details of you. Just fill them step by step. First of all, you have to fill the option for which you are applying for select LL option. 6. Enter UIDAI code: Then in the next column fill your aadhar number. 7. 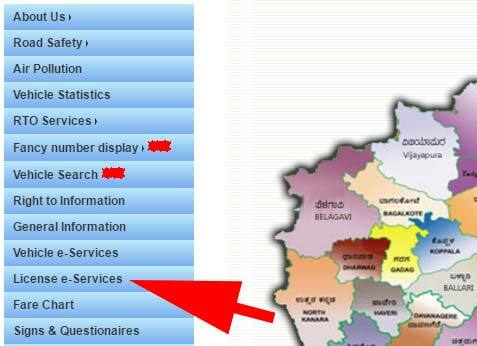 Select state and RTO: Then select the state name in which you are applying from and then select the RTO office. Name- first, middle and last name. Gender- male, female or others. Date of birth or age in years. If you are an emigrant then fill the month and year of your emigration. First, middle and last name of father or husband or guardian. Duration of the stay at this address in months and years. Citizenship status by- Birth or registration or descent or naturalization or non-Indian. 10. Select the box: if your present and permanent address are the same then just click on the box at the options present address is same as permanent address and all the details will be copied in those columns also. 11. Fill vehicle type: then in part B fill the type of the vehicle you are going to apply for and then click on the option LL. 12. Enter RC number: In the next column you have to fill the RC number of the vehicle. 13. Complete terms and condition: then in Part D from point 13 to 17 will be given some terms and conditions which you have to fill no. If you have any yes in the answer then you have to give an explanation along with the form. 15. Fill the date: Then put the date and your signature or thumb impression on the form. If the applicant is under 16 to 18 years- then you have to fill the part E also. Then fill the name of the applicant in the oath and then the signature of the parents or guardian. Name of the parents of guardian. Their address- city, district and pin code. 16. Finally, submit the details: then click on the option submit and the date, timing, and venue will be displayed at the next page. Take the printout copy of you LL online filled from. Take an address proof with you. Take 3 passport size photos with you. Take the age proof also with you. Take the cash receipt or DD which was deposited at the cash counter of the RTO office. After submitting all the required documents the applicant will be called and will be declared pass for the LL. Note- if the applicant fails the test she/he don’t need to apply again all she/he needs to be there at the selected time given by the License authority. For permanent driving license, all the steps are same except one that you have to select the option DL instead of choosing LL and rest process is the same. Note- You can fill the form in online mode as well as in offline mode also. For that all you need is to go to the option license e-service and then select the options like- print the online application for LL or DL.